When it comes to the Olympics, all the world is a stage. And that’s one of the very reasons all Olympics locations seem to have one thing in common, and it’s not just sweaty athletes. 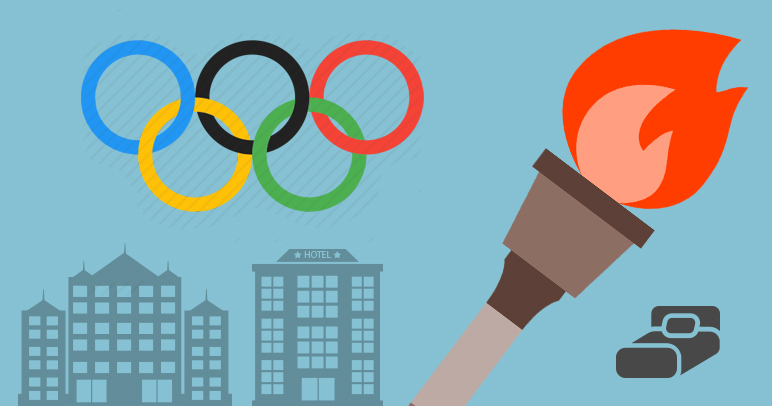 A major headache for many companies looking to send an entourage to the Olympics is a lack of hotel rooms. But that doesn’t need to be the case. There will be no shortage of competition among the athletes participating in the Tokyo 2020 Olympics. Every gymnast, every pole-vaulter, every runner will be going up against someone bigger and better. The key to winning is to find that one chink in the armor, a slight advantage that will enable someone who isn’t bigger and better to gain a competitive edge or, at the very least, level the playing field. The world loves an underdog. But the competition level in the upcoming Olympics is now going from the training facilities to the corporate boardrooms. Companies planning to take their executives to Tokyo for the games are realizing they could be left out in the cold as a shortage of Tokyo Olympics hotel rooms, particularly luxury hotels, coupled with the game’s corporate sponsors virtually gobbling up what is available, has many companies choosing to watch the games from home. According to a report on the TRAVEL WIRE ASIA website Tokyo is likely to face a shortage of 14,000 rooms per night by 2020, indicative of the room shortage that’s sweeping across the country. Marriott International Inc.’s top-end Edition brand will debut in Japan with two luxury hotels opening in Tokyo’s Toranomon and Ginza areas in 2020, but it is not know if they will open in time for the games. The fact that many hotels in Tokyo are reserving Olympic accommodations for their top rooms for sponsors isn’t hard to understand. The 2020 Olympics are expected to bring in almost $3 billion in sponsorship money, almost $2 billion more than the previous record of $1.1 billion for the 2012 London Olympics. The Olympics remains the world’s premier marketing event, with billions of people watching in over 200 countries. And with corporate sponsors dropping upwards of $200 million for sponsorships, you can pretty much conclude that any hotel receiving a call from the corporate travel manager of Coca-Cola, VISA, Samsung or Toyota, is going to get what they want. For non-sponsors looking for hotel rooms this could be an issue. Most corporate sponsors are blocking out rooms for the entire two week run of the games, leaving businesses that are only looking for three or four nights to enjoy the gymnastics competition, with perhaps less impressive accommodations. But “less impressive” doesn’t necessarily mean three nights at the Bates Motel. There are viable alternatives available for companies wishing to watch major events.